Pet Emergency? Call us right away at (609) 465-9006! Dr. Terri Marks and the staff of South Paw would like to extend our heartfelt gratitude to our clients for their continued patronage and loyalty. South Paw Animal Hospital has been serving the South Jersey community since 2000. We are a full-service veterinary hospital and our staff offers quality and reliable Boarding, Dentistry, Full In-house laboratory, Medicine, Radiology and Surgery you can count on. In addition, our friendly and professional staff is here to answer any questions you may have about our company or our services. 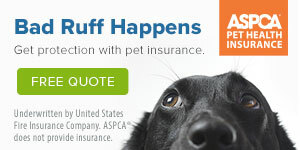 Browse our web-site for more information about South Paw Animal Hospital and our beloved pets. If you have any questions or would like to speak with a South Paw representative regarding our services, please call us at 609-465-9006. South Paw Animal Hospital welcomes both emergency treatment cases as well as pet patients in need of routine medical, surgical, and dental care. Dr. Terri Marks has years of experience treating serious conditions and offering regular pet wellness care. Beyond first rate pet care, we make our clinic comfortable, kid-friendly, and clean, so your pet can relax in the waiting room and look forward to meeting Dr. Marks and the staff. We are happy to offer a number of resources to use as educational tools. Please feel free to browse our site, particularly the informational articles. The best veterinary care for animals is ongoing nutrition and problem prevention, so becoming knowledgeable about preventative pet care is essential to the ongoing success of your animal’s health. If you have any questions, call (609) 465-9006 or email us and we'll promptly get back to you. Our office is very easy to get to -- and you can find directions on our Contact Us page! We also welcome you to subscribe to our newsletter, which is created especially for pet owners. At South Paw Animal Hospital, we believe special pets deserve special care. Sign-up using the form or call us at (609) 465-9006 to take advantage of this exclusive offer. At South Paw Animal Hospital, we believe every patient deserves the highest quality of care. Unfortunately cost concerns can be a deciding factor as to whether or not your pet receives this care. That is why we are pleased to accept CareCredit, a credit card that offers Interest Free Payment Plans (if paid within the promotional period) or Low Fixed Interest Payment Plans. Call us today at 609-465-9006 for more information, or click the "Learn More" button to apply.